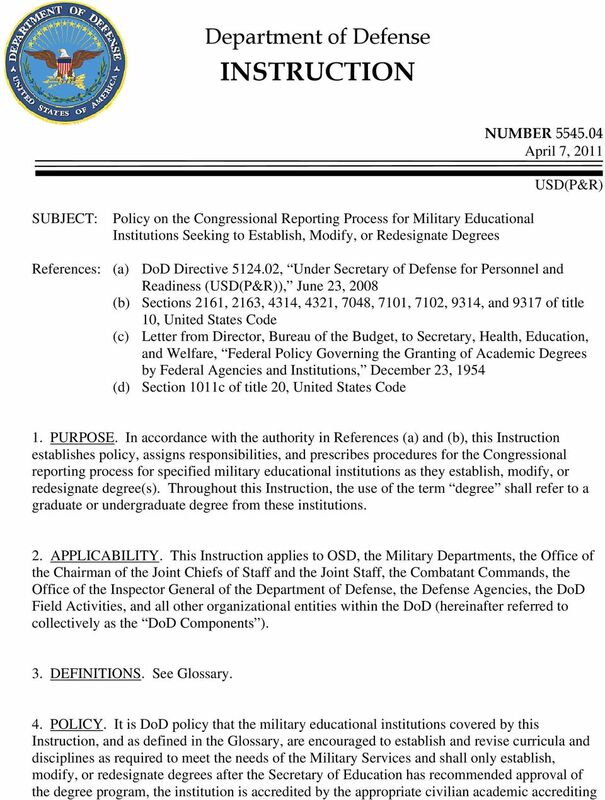 Download "Department of Defense INSTRUCTION"
Department of Defense INSTRUCTION NUMBER 1400.25, Volume 430 August 5, 2014 USD(P&R) SUBJECT: DoD Civilian Personnel Management System: Performance Management References: See Enclosure 1 1. 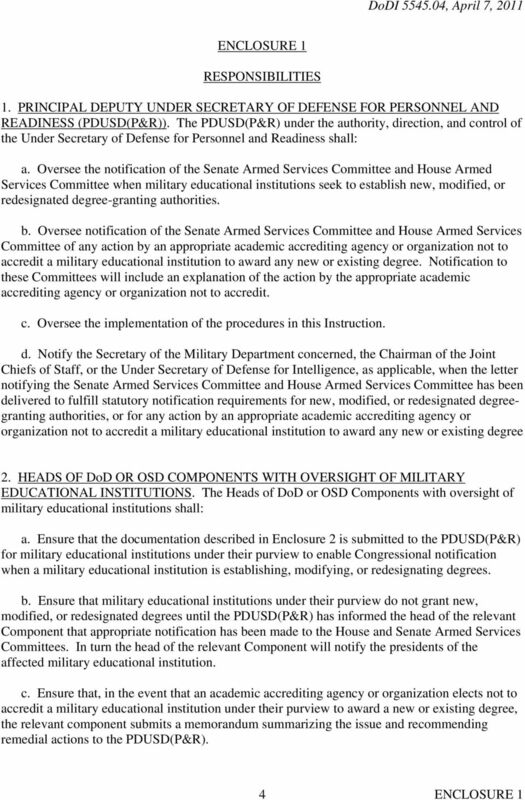 PURPOSE a. 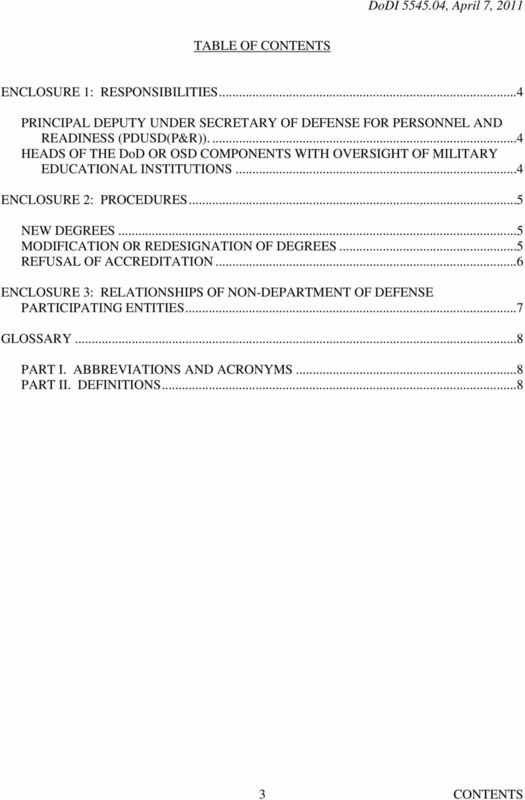 Department of Defense INSTRUCTION NUMBER 5154.31, Volume 2 October 16, 2015 USD(P&R) SUBJECT: Commercial Travel Management: General Travel Provisions References: See Enclosure 1 1. PURPOSE a. Instruction. 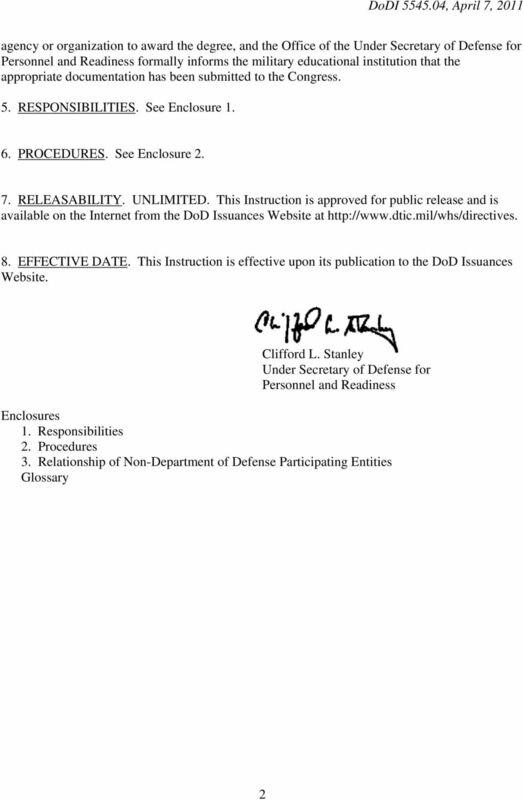 Department of Defense INSTRUCTION NUMBER 1400.25, Volume 610 November 28, 2014 USD(P&R) SUBJECT: DoD Civilian Personnel Management System: Hours of Duty References: See Enclosure 1 1. PURPOSE a. Instruction. 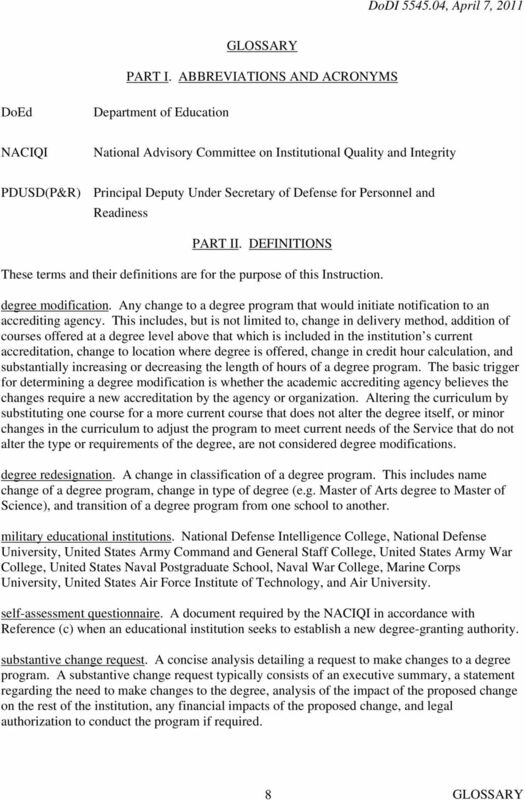 Department of Defense INSTRUCTION NUMBER 1215.07 January 24, 2013 Incorporating Change 1, September 23, 2013 USD(P&R) SUBJECT: Service Credit for Non-Regular Retirement References: See Enclosure 1 1. PURPOSE. 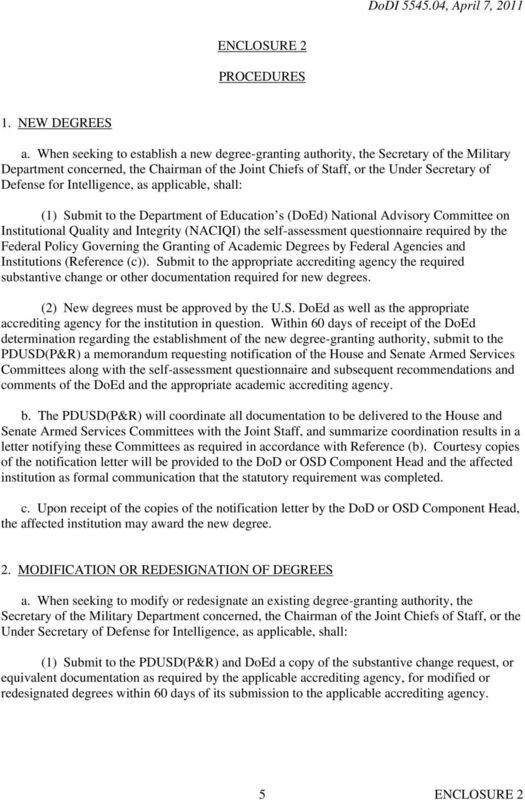 Department of Defense INSTRUCTION NUMBER 1342.12 June 17, 2015 USD(P&R) SUBJECT: Provision of Early Intervention and Special Education Services to Eligible DoD Dependents References: See Enclosure 1 1. 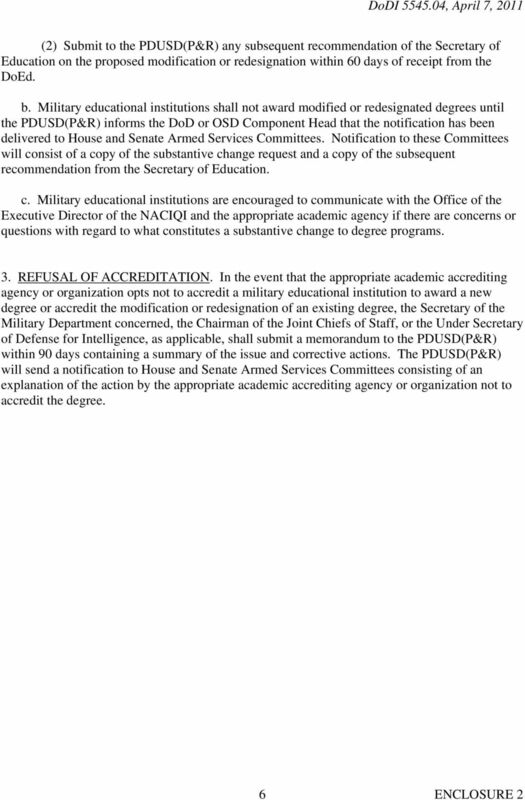 Director of Administration and Management ADMINISTRATIVE INSTRUCTION SUBJECT: Equal Employment Opportunity (EEO) and Diversity Programs References: See Enclosure 1 NUMBER 31 August 19, 2013 EEOD, WHS 1.